Simple operation. Less maintenance. Superior print quality. 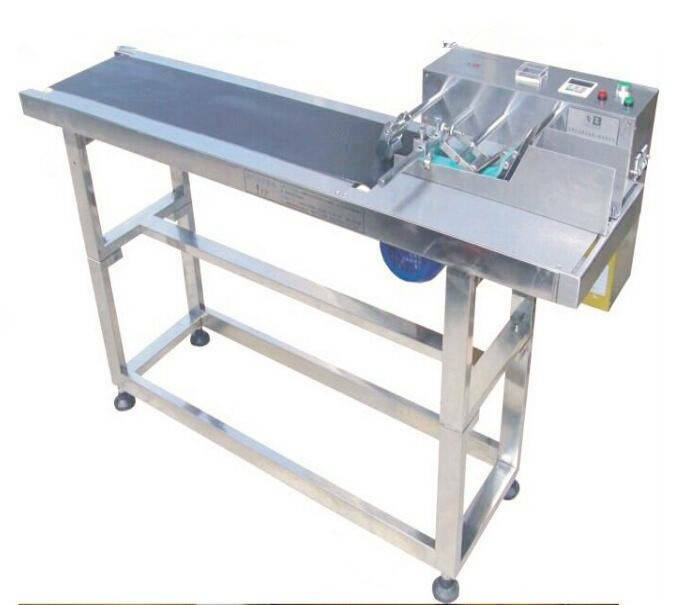 The device is Used to automatically separate stacks of packaging bags or cards and convey single piece onto the conveyor belt so as to facilitate the coding machine or laser machine to spray print or spray etch the date of production,lot number,anti-fake mark,pattern,etc.,and thus reduce the trifles of manual paging,make full use of the advantages of high-speed spray printing of coding machine and laser machine and improve spray printing efficiency,meanwhile,it is equipped with the function of intelligent counting and automatic stop to facilitate production management. 1, Imported variable frequency stepless speed regulator,high-speed automatic paging 60-600 pcs/min. 2, Can automatically count,or can set the quantity of pages to be separated automatically,until when the required quantity of pages to be separated is reached, the machine stops automatically,the setting range is 1-9999(needs to be shared with the signals of coding machine or laser machine). 3, High paging speed,high positioning accuracy and high production efficiency. 4, Reasonable structural design,and simple and quick replacement of easily-worn parts.